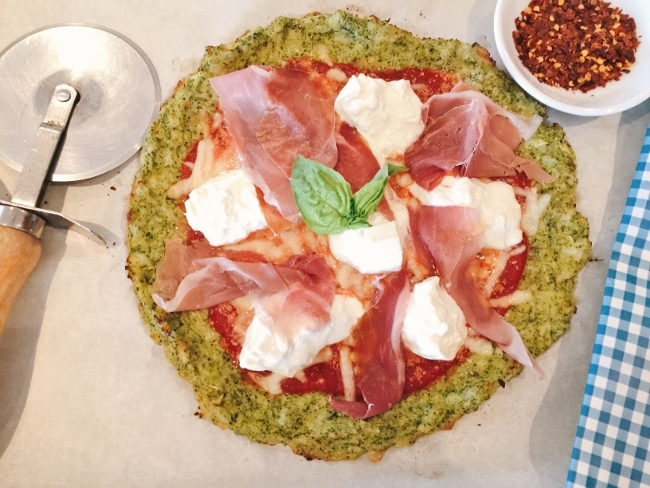 Broccoli Crust Burrata & Prosciutto Pizza - Recipe! - Live. Love. Laugh. Food. 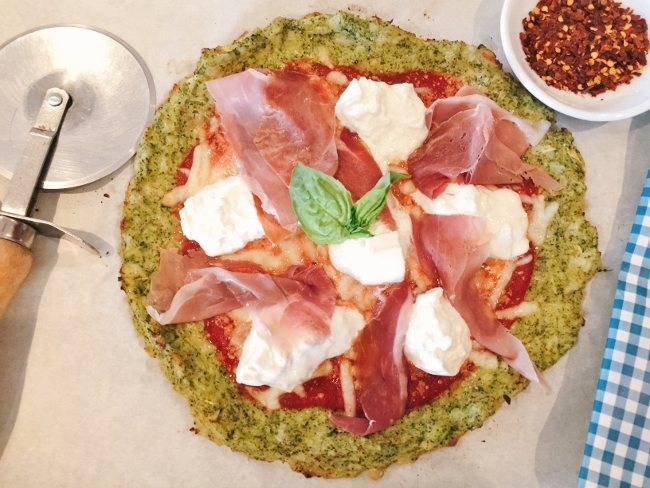 Broccoli Crust Burrata & Prosciutto Pizza – Recipe! One food most people won’t give up is pizza. Pizza is the number one consumed food in our nation, after hamburgers and it’s not going away anytime soon. The combination of cheese and tangy marinara with a variety of toppings, keeps us coming back for more. However, there are ways to lighten up your pizza, and this Broccoli Crust Burrata & Prosciutto Pizza is fantastic option. 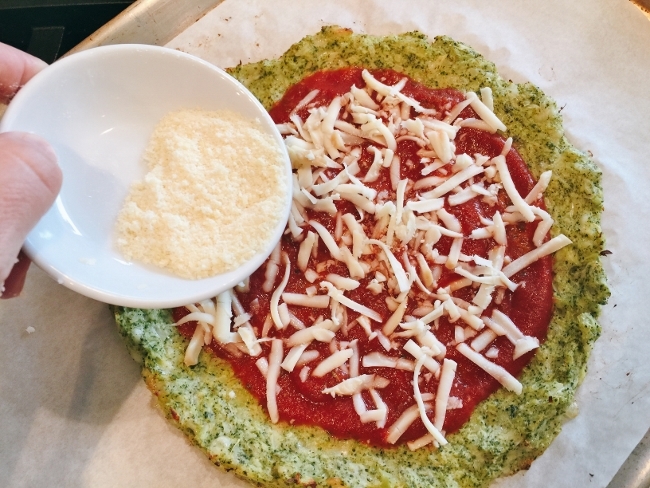 You might be saying to yourself, “broccoli crust really?” But, yes it is so good, I think better than the cauliflower options out there. 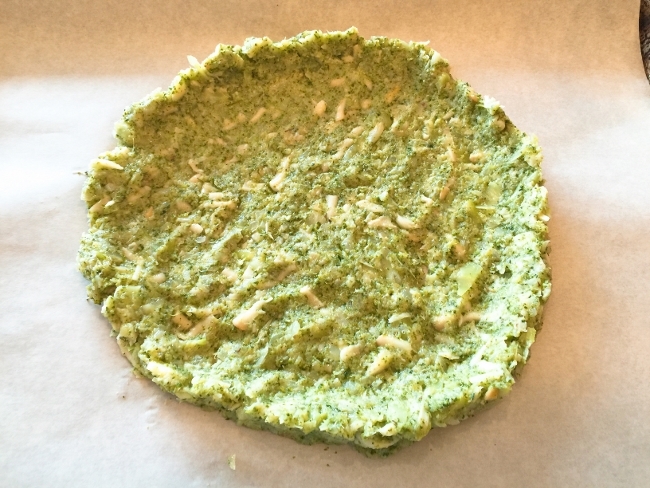 The texture and taste of broccoli have a little more flavor than other vegetables, which adds to the overall pizza. 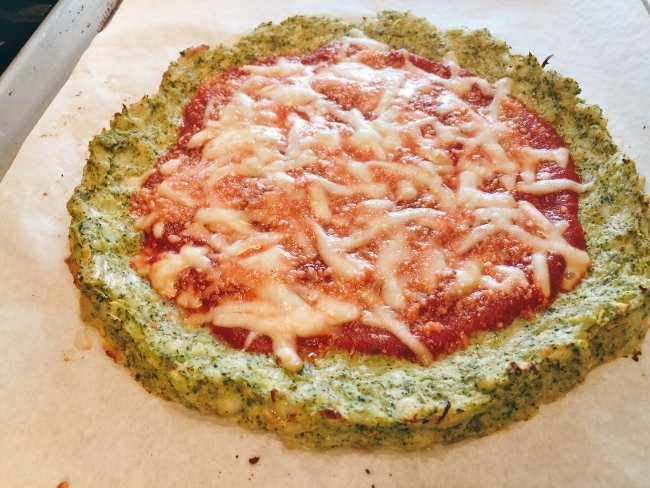 The crust is a combination of steamed broccoli, egg, herbs and mozzarella, for an Italian flair. A simple smear of tomato sauce, a little more cheese, and top it off with freshly sliced prosciutto and burrata. The entire pie is ready within 20 minutes and is loaded with traditional mouth-watering goodness. 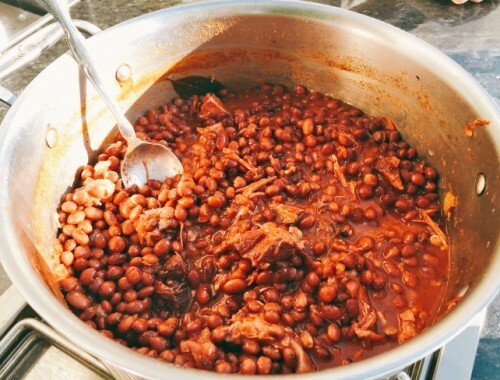 You will be delightfully surprised how great it tastes, so don’t knock it until you’ve tried it! 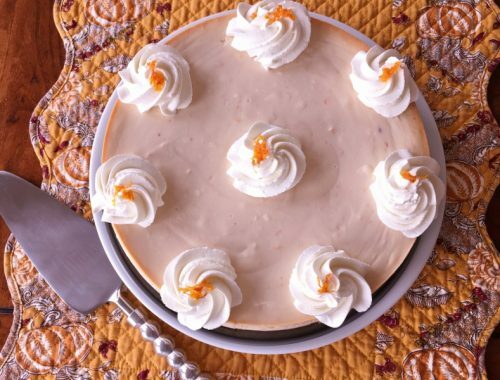 It’s low-carb & gluten-free, and this pie definitely needs to be eaten with a fork, so you get every bite. 1. Preheat the oven to 375 degrees. 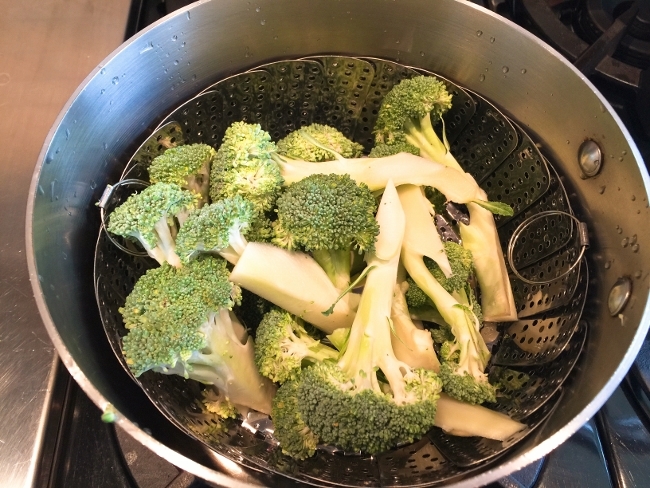 Cut broccoli into pieces and steam on stove top or microwave, until fork tender. 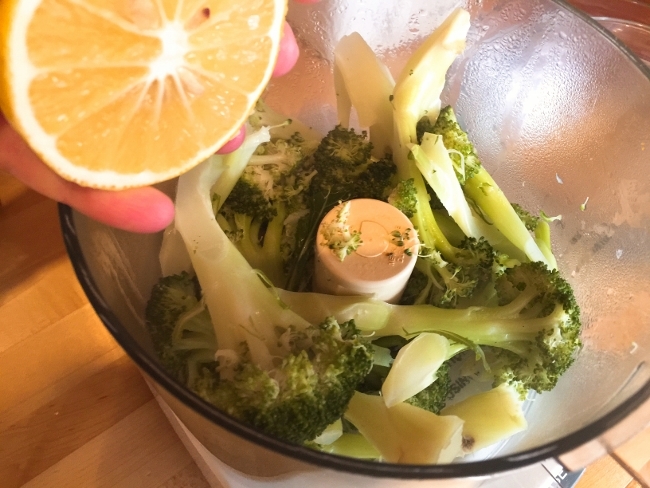 Drain from water and place in a food processor. Squeeze in lemon juice and pulse, until coarse texture. 2. 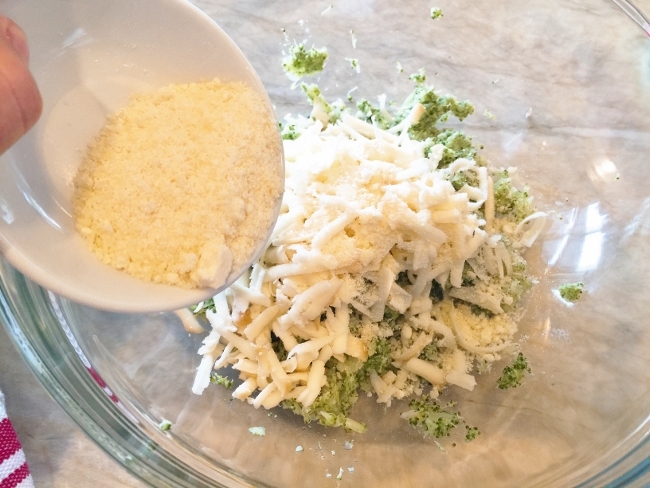 Dump the broccoli mixture into a large bowl and add half the mozzarella and Parmesan. Crack in the egg and add the oregano, onion powder, salt and pepper. Using your hands combine the ingredients. Form a 9-inch round with a slight edge on a parchment lined baking sheet. 3. Bake in the oven for 18 minutes. 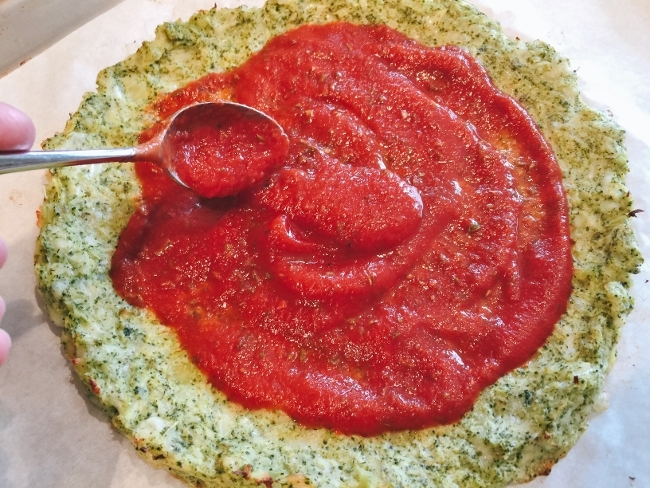 Remove and spoon the marinara sauce over the pizza. Top with the remaining mozzarella and Parmesan cheese. Bake for 5 minutes. 4. Remove from the oven and cut the Burrata into wedges, place around the top. Add the sliced Prosciutto and top with fresh basil. Slice and serve with red pepper flakes. Enjoy! 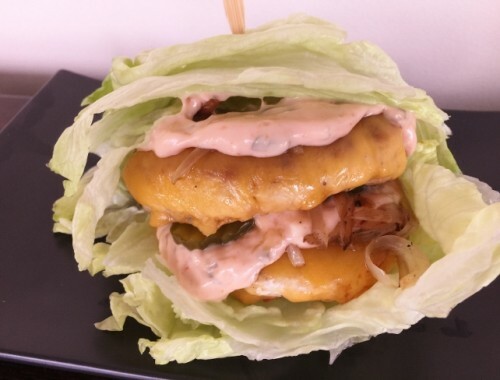 Double-Double Turkey Burger “Protein Style” – Recipe!